This is the final part of a 3 part series about Agatha Christie’s life. Check out part 1 and part 2 here in KRL. It was on her second visit that she met Max Malllowan, an archeologist who was assisting Leonard Woolley at the dig. Max was “volunteered” by her hosts to take her on a tour of Nejef and Kerbala. Agatha liked Max but felt very awkward about a young man more than 10 years her junior being forced to give up his only time off to accompany her. But it was on this eventful trip, full of mishaps, where love blossomed. On their return to Baghdad, telegrams were waiting telling of her daughter Rosalind’s grave illness. Agatha made plans to return home at once and Max insisted on going with her as she had recently sprained her ankle. Agatha and Max parted company in France and she made the rest of the journey alone. She was greatly relieved to find Rosalind her old self and mostly recovered from a bad case of pneumonia. When Max came to visit a few weeks later, he proposed. She was shocked and nearly speechless. Even though she liked him very much, she turned him down citing every reason she could think of, not the least of which was their age difference. They argued for two hours until she agreed to think about it. Most of her family and friends were opposed to it at first and she spent the summer in misery going back and forth in her decision. Finally, Agatha accepted and they were married in secret in Edinburgh at St. Columba’s in 1930. The Murder of Roger Ackroyd was her first story to be adapted for the stage (Alibi 1928) and although it was a success commercially, Agatha was frustrated by the lack of creative control she had over the changes made to her original story. 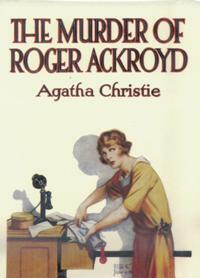 One of her favorite characters, Roger’s spinsterly sister Caroline, was removed altogether and replaced with a younger, pretty sister who would provide a love interest for Poirot. Even though she enjoyed Laughton’s acting, Agatha did not like him as Poirot. In fact, she was never completely satisfied with any of the Poirots on stage or screen owing either to the actor’s portrayal or physical appearance. This motivated her to start writing her first play, Black Coffee. She was by now a well-known successful writer, though she did not consider herself a bona fide author until many years later-still writing “married woman” instead of “author” as her occupation on her income tax forms. Her long time publishers, Hughes Massie, didn’t care for Black Coffee and basically told her to forget about plays and stick to books. Through the interest of a theatre friend, Black Coffee was produced in 1930 and had a decent run. She would pen over a dozen plays in all. Years later, in 1952, her play The Mousetrap opened in London’s West End. It is the longest running play in history and just celebrated its 25,000th performance last year (November 18, 2012). Agatha regretted having created both Poirot and Miss Marple already aged. She had no idea these characters would be with her for so many years and it caused many fans to speculate about their ages. One commenter calculated that by his last case, Poirot must have been 120 years old. It’s true that she loved Miss Marple and couldn’t stand Poirot, calling him “insufferable” and “a detestable, bombastic, tiresome, ego-centric little creep.” Yet she continued writing stories featuring him because she felt it was her job to keep her readers happy and that was what they wanted. Some stories took a longer time, as long as six or seven years, working themselves out in her mind before she was ready to write them down. Usually the family could sense better than she could when the time to create drew near. “Look, Missus is broody again” they would say, and then encourage her to lock herself in a room and start writing. Once in the middle of a story, she found it difficult to stop and would cancel all other obligations until it was finished. Her more personal works, romantic novels, she wrote under the name of Mary Westmacott and she also wrote a memoir about her and Max’s time at various archeological sites in Come, Tell Me How You Live under the name Agatha Christie Mallowan. These were discouraged by her publisher, yet she published them anyway with much success. Agatha accompanied Max on many of his digs and used these places as settings for many of her stories, such as Murder in Mesopotamia, Death on the Nile, and Appointment with Death. They also loved traveling and in her autobiography she tells a wonderful story of their much discouraged trip into Russia by way of Iran. They rented a car and drove it to the Caspian Sea, left it and climbed over the rocky hills in Resht, Iran. From there they boarded a meticulously clean Russian boat where none of the robot-like crew acknowledged their presence until they were so hungry Max had to act out in pantomime that they needed food. Once in Baku, they found a horse driven carriage that took them to eight different hotels, all of which were full. They parked themselves in the last hotel lobby, refusing to budge. After a while a porter led them up through the attic to the roof and then across two more rooftops and into a nicely furnished attic where they could spend the night. When the Second World War came, Max joined the Air Force and Agatha went to work as a dispenser at University College Hospital. Her grandson Mathew was born in 1943 and Agatha went for a while to help with meals as her daughter recovered and settled. In an interview years later, the nurse helping out her daughter at the time said that she never realized it was Agatha Christie who came over every day. She thought she was just the elderly lady who came in to cook the meals. 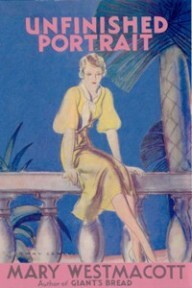 Agatha produced a huge amount of work during these years, over 20 novels and short stories. She wrote the final installments of both Poirot and Miss Marple in case she was killed in an air raid. These were willed to Rosalind and Max, respectively, insured for a large amount and kept in a vault, not to be published until after her death. “It will cheer you up,” she told her family, “when you come back from the funeral. . .to think that you have got a couple of books, one belonging to each of you!” They protested that they would rather have her. Throughout her life Agatha remained humble and understated about her amazing talent. Even in her later years, she talks of needing much encouragement when beginning a new project; feeling terrified and incompetent. Her matter-of-fact and accepting view of life and the people around her is what struck me the most. She accepted the people around her as they were and was tolerant of their quirks, eccentricities and habits. She took sober stock of herself, compiling lists of what she liked and did not like, and what she did well and did not do well. These were not an attempt at self-improvement but rather of self-acceptance. One of the things I appreciate most about her writing, apart from the plot twists, unexpected endings and interesting personalities, is her ability to bring the reader into a full knowledge of a situation or character in just a few compact sentences. It is her concise delivery coupled with a pleasant, natural rhythm that makes reading her lines so enjoyable. Some of my favorite passages are from the short stories Philomel Cottage (the unabridged version), The Red Signal, and The Mystery of the Spanish Shawl. These can be found in Masterpieces of Mystery and the Unknown Agatha Christie or on audiobook read by Timothy Pigott-Smith. Agatha continued to write consistently until the end of her life, even when her health began to fail in 1971. 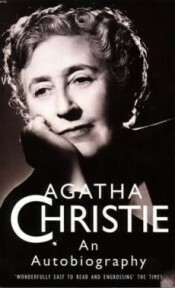 Agatha Christie died in 1976 at the age of 85 in her home of natural causes. Her husband Max died two years later and her daughter, Rosalind died in 2004, also of natural causes also at the age of 85. Agatha Christie is still known as the “Queen of Crime”. She was made Dame of the British Empire in 1971 and has received numerous honors and prizes for her writing. Her husband Max was knighted in 1968. She is the third most widely published author with sales of her novels at around four billion. Her works have been translated into over 100 different languages making her the most translated individual author of all time. 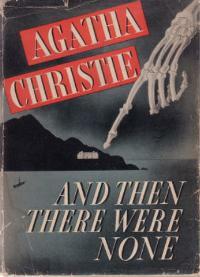 She holds the record for the longest running play (or performance of any kind), The Mousetrap and for the world’s best-selling mystery, And Then There Were None. Her works have been adapted for stage, screen, radio, and now video games and comics. Christina, I want to thank you for your insight. I am a fan of Dame Agatha and you have given a more personal perspective than I normally find. Thank you. Thanks Annette! I found most of the lesser known facts in her autobiography (which I highly recommend).